I’m SO excited to see this gorgeous novel available for pre-order today! 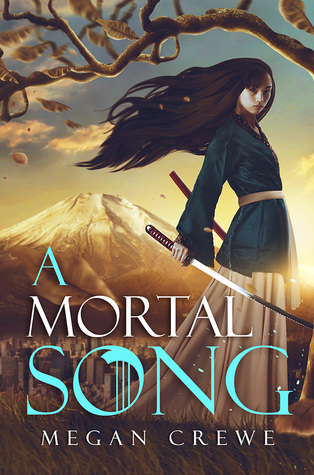 A Mortal Song is a YA adventure set in the enchanted forests and villages surrounding Mt Fuji and starring two of my newest favorite characters: seventeen-year-old Sora and her dragonfly named Midori. The novel is already gathering some lovely reviews from early readers! “It’s been a long time since a book swept me in and kept me enraptured until the very end.” — Amazon reviewer. You can read more about Megan Crewe below, and check out some other amazing books in her oeuvre by following the links under the bio!